​Liverpool manager Jurgen Klopp has returned from his holiday in Dubai as he begins preparations for the business end of the Reds' exciting Premier League title race. News of Klopp's return comes from the ​Daily Mail, who add that the German can now start to think about his side's run of fixtures as they look for their first league title in 29 years. ​Liverpool currently sit atop the ​Premier League table, although they have played one game more than rivals ​Manchester City. Pep Guardiola's men trail by just two points, and they can move to the top of the table if they win their game in hand. The Reds are no longer in control of their own destiny, and will need City to drop points if they are to secure that elusive Premier League title. 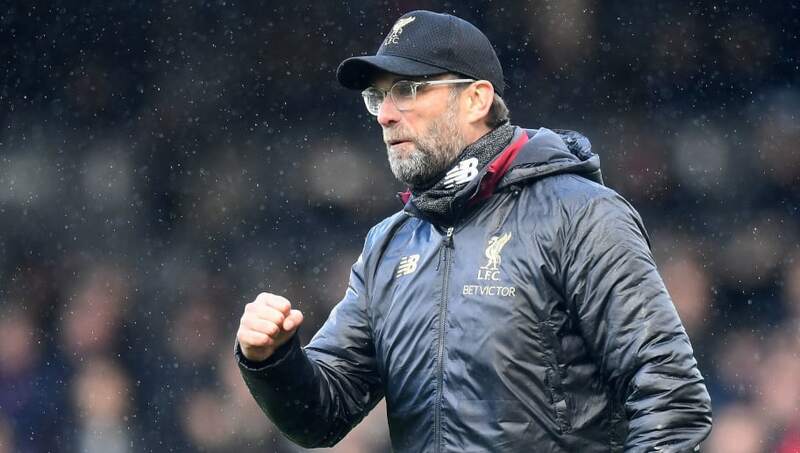 Speaking after the 2-1 win over ​Fulham before the international break, Klopp insisted that Liverpool must be perfect until the end of the season if they are to come out on top against the Citizens. "​Tottenham next, an interesting game against a really good footballing team. Nothing is decided but we can make sure we stay in the race. We want to stay in the race." ​Lallana also took to ​Instagram to reveal he was confident ahead of the title challenge, writing: "Rested and ready to get back to it... all to play for." As well as Tottenham, Liverpool face tough matches against the likes of ​Chelsea, ​Wolverhampton Wanderers and ​Southampton, whilst they must also prepare themselves for a ​Champions League quarter-final clash with Porto in April.